Delta Air Lines is pleased to offer special discounts for Informing Science Institute Please click here to book your flights! You may also call Delta Meeting Network® at 1.800.328.1111* Monday–Friday, 7:00 a.m. – 7:30 p.m. (CT) and refer to Meeting Event Code NMSV6 *Please note there is not a service fee for reservations booked and ticketed via our reservation 800 number. United Air Lines. Call your professional travel agency, book online via http://united.com (enter ZGAJ751403 at the bottom of the page of the advanced search page at https://www.united.com/ual/en/US/flight-search/book-a-flight as the promotion code) or call United Reservations Meetings Desk at 800-426-1122 and provide the Z Code ZGAJ and Agreement Code 751403. Before you leave, we recommend downloading a map of Jerusalem to your Google Maps app on your phone. That way, you will not need to use a data connection to download the map. Most likely you will fly into Ben Gurion Airport (TLV). Getting through the airport is relatively painless, compared to many international airports. You can see details at http://www.iaa.gov.il/en-US/airports/bengurion/Pages/ArrivingPassengers.aspx . You have free Internet at the airport so you can use your WhatsApp, Skype, or such to contact others for free. You don’t need to rush because your bags will likely take a bit of time to get to the baggage carousel. Ben Gurion Airport (TLV) is Israel's main international airport, with 3 terminals plus trains & buses to regional cities. It is located between Tel Aviv (the biggest city) and Jerusalem (where we are holding the conference). Jerusalem is just a 35-minute drive from Ben Gurion International Airport. Terminal 1 handles low-cost European airlines, like easyJet, Ryanair, and Wizz Air) as well as domestic flights. As of this writing, baggage collection and passport control for all International flights arrive in Terminal 3, but this is scheduled to change. Terminal 3 serves most passengers entering and leaving Israel. All long-haul and full-service international airlines use Terminal 3. When you get off your plane, you will have a bit of a walk to get to passport control. 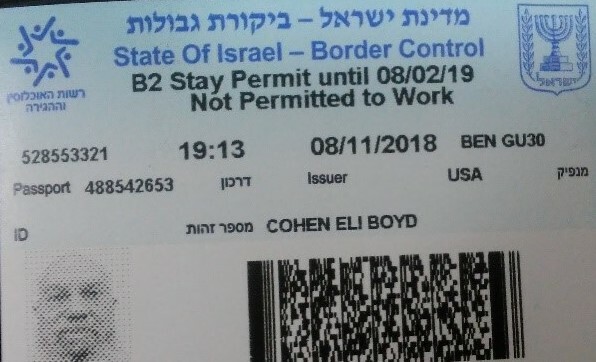 Unless you are traveling on an Israeli passport, stand in one of the lines for Foreign Passport. Passport Control will not stamp your passport, but instead give you a Border Control Clearance card. Keep the card handy since you will need it right away to get through the gate to collect your baggage and when you return to the airport. Then you will pick up your bags and go through customs to the main entry hall. You will find it convenient to use your debit card to obtain local currency, New Israeli Shekels (symbol ₪), from an ATM machine. You will need local currency, the New Israeli Shekel, for most purchases. We recommend withdrawing at least ₪300 to get you started with buying your ticket and purchasing items. While you could buy a SIM card at the airport, to save money, we recommend waiting until you are in Jerusalem. The cost for a SIM card loaded with minutes and data may be around $50. You pay for the SIM card and then load it with a plan. The SIM card costs around 30~50NIS = 8~13USD. Load it with a prepaid plan. Consider the plan from 019 or Hotmobile with a topup-refill of 50~60nis for unlimited talk and text in israel with ~5GB. But you may find that your local carrier, such as Xfinity, will let you make calls at a discounted rate. There are at least five ways to get to Jerusalem from the airport: Meet and Greet by private driver, Taxi (for a fixed rate), Sherut (shared taxi), Train, and bus. You could also rent a car and drive, but finding parking in Jerusalem is challenging. If you arrive from Friday night to Saturday night, you will need to take a taxi or a sherut (see below) because public transportation, that is buses and trains, don’t operate. Sherut Shared Taxi (to your hotel) is about 70 NIS per person including all luggage. You will need to wait until the van fills up and you may need to wait for others to be let out. Figure on adding a half-hour or so to the trip on waiting. he Nesher sherut -- a shared taxi service – is a cheaper, popular alternative to a private taxi. Nesher vans are located just outside the Arrivals Hall and will drop you off anywhere in Jerusalem. The vans leave when they have a full load of passengers, and those at the end of the drop-off list may have a journey of up to two hours. The service runs 24/7, and there is no need to pre-book when travelling from the airport. For travel from Jerusalem to the airport, you need to book 24 hours in advance and note your flight's departure time. The shared taxi costs about $17 per person, with the current rate clearly posted outside the terminal. Taxis cost about 240 NIS per taxi (amount depends on time of day and amount of baggage), A private taxi to Jerusalem costs approximately $63 Sunday through Friday and about $80 on Saturday. There is no need to book ahead for the trip to Jerusalem. Not all taxis accept credit cards, and visitors are advised to change a sufficient amount of money prior to leaving the airport. Israel is just now starting a high-speed train that travels directly from the airport to a stop near the Central Bus Station (Yitzhak Navon station). The train takes just 24 minutes. It is inexpensive (17 NIS as of this writing) . The only problem is that the train schedule is not yet set to run in evenings. See https://www.rail.co.il/en (currently 6:30 am to 7:30 pm). Airport bus: The following information about riding the bus from the airport is from the Internet and we have not verified it. Using the Jerusalem by Bus is the least expensive, but most difficult. The shuttle bus from Ben Gurion Airport to Jerusalem (bus number 485 run by Afikim) is available 24 hours a day, 6 days a week (it does not run on Friday after 2 pm and resumes Saturday at 7 pm). Pickup it at the Ben Gurion Airport is on the Arrivals level concourse, second floor, in the public transport lane. The bus departs hourly, on the hour, during this time, and runs to several central points in Jerusalem, including Jerusalem’s Central Bus Station. (From the bus station you will need to take a taxi or light rail.) The bus costs about $6 but you pay in Shekels. Or take the Ben Gurion Airport shuttle from your terminal to the Ben Gurion El Al Junction, then take Egged Bus 947. It takes about an hour and 10 minutes to reach the Central Bus Station. The tickets for the shuttle bus from Ben Gurion Airport to Jerusalem can be bought on the spot for 16 NIS in cash (approximately $4.50). More information about booking the shuttle bus to Jerusalem. Note that this service collects and drops from both Terminal 1 and Terminal 3. The bus drops you off at or near the Central Bus Station. You still need to get to your hotel. Since you will have luggage, you may want to hire a taxi (see below). If you don’t have a lot of luggage you may wish to the mile or so, or take the light rail (after you buy a ticket for 5.90 NIS) to get closer to your hotel. Arriving on the Sabbath (Friday night to Saturday night)? You will need to take a taxi or shared taxi. This will provide you with a glorious view of the Jerusalem hills. Depending on where you are staying, the taxi may need to let you offer near, but not at your hotel. Cars and taxis are not allowed on the pedestrian walkway by the Styles Hotel. Getting to campus from your hotel. 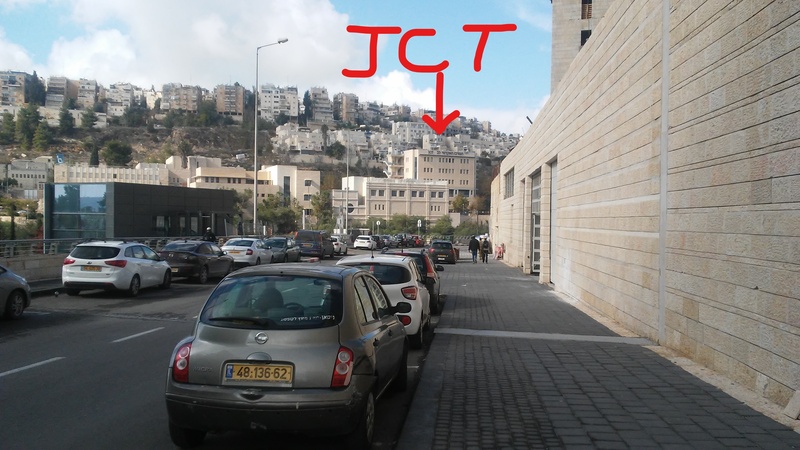 The conference takes place at the Jerusalem College of Technology. 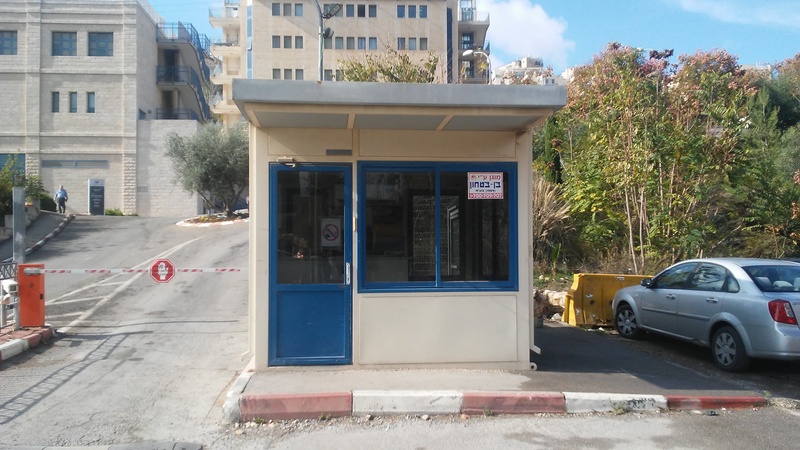 The college, also known as Machon Lev, Lev Academic Center, or JCT, is west and south of the city center in the neighborhood known as Givat Mordecai. There are no hotels near the campus so you will need to get to campus by walking, public transportation, or taxi. To use the bus or light rail, you need to purchase a ticket or fare card in advance since you can’t pay on the bus or train. The simplest way to do this is by purchasing and loading with money a “Rav Kav” stored value card. See https://www.touristisrael.com/using-the-bus-and-light-rail-in-jerusalem/7130/ for details. Alternatively, you can purchase paper tickets a light rail stations. See See https://citypass.co.il/en/purchase-options You can plan your trips by bus or light rail using the app Moovit or Google Maps. Public transportation in Jerusalem consists of a network of buses and a light rail system that connects one end of the city to the other. A single fare on the light rail is 2 EUR, and a 10-ride pass (a smart card known as a Rav Kav) is 12 EUR. Tickets must be purchased at the light rail stops before you board and cannot be purchased on the trams themselves. Trams arrive every 7 minutes at peak hours and every 15 minutes off-peak. Taxis. Don’t want to walk? Take a taxi. (Taxis are available on all days and at all times.) You can hail a taxi, have your hotel call one, or use the app “Gett” or “Uber” to book a taxi trip from your mobile phone. These apps, even Uber, call regular taxis to your location and you pay based on the meter. You pay in local currency, the New Israeli Shekel (NIS). Tipping of taxi drivers is not expected but rounding up is common. Getting to the campus by taxi (for 1-3 people) will cost less than $15 USD. The conference chairs are looking into having a taxi company charge the fare directly to the conference.